In the past, when it was necessary to perform a negotiation, companies would bring in big-name negotiators from around the country. Lawyers and clients would meet in a room and then the negotiator would join them, walking into a place that was full of tension and conflicting egos. In this type of situation, it was extremely difficult to find the space to negotiate properly, and there was often a great deal of conflict. In order to resolve as much of this as possible, and to help people to feel better about the decisions, the Edwards Mediation Academy will teach you different skills to break down these egos and bring them closer to a resolution. The art of the mediator is to walk a careful line between the different parties in dispute. This often means dealing with different egos and battling against opposition relating to your attempts at negotiation. In order to ensure that one ego does not overwhelm the other, you have to take control of the meeting, and give the other parties some direction. You also have to be able to listen closely to the dispute, and negotiate from a position of a guest at a family quarrel. In order to ensure that you get the best results for your negotiation, you need to understand why some parties may resent your appearance. 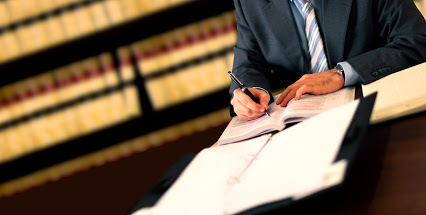 In most cases, the lawyers have been obliged to bring their clients to negotiation by insurance companies or court. In this case, they may feel that they have been placed in a position where they have no choice but to listen to what you have to say, and this can naturally cause resentment. In other cases, where lawsuits have been going on for some time, there may be a long-standing feeling of resentment and annoyance which is not your fault, but may be felt by you as you try to work with your clients. In order to make sure that you can walk through the narrow path of negotiation, it is necessary that you have learnt the proper mediation skills required. This might include taking courses at the Edwards Mediation Academy, where we can teach you both simple mediation and more advanced stages. Our courses are fully accredited by the CBA (California Bar Association), and we can teach you how to negotiate successfully in tense situations. For more information, call us today on (877) 927-1362.